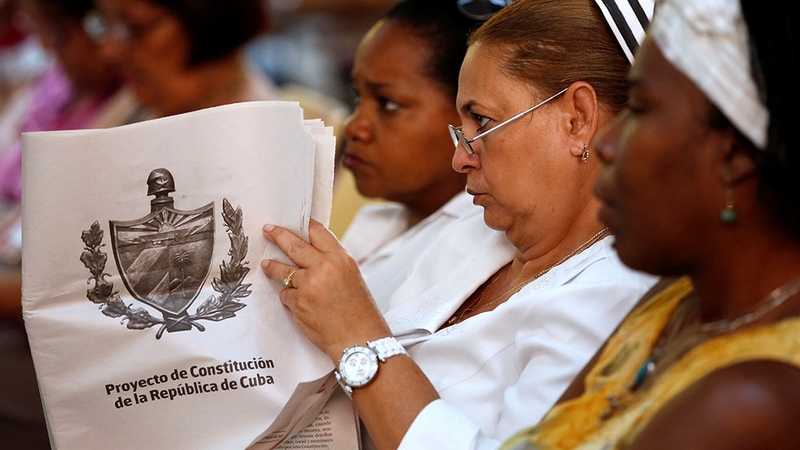 Cuban voters ratified a new Constitution on Sunday that legalises the free market in a vote that saw a growing portion of the population express dissent compared with the island’s last constitutional referendum in 1976. In Sunday’s ballot, 86.85 percent voted in favour of the new Constitution while nine percent voted against it. Spoiled or blank ballots made up 4.15 percent of ballots cast. Voter turnout was recorded at 84.4 percent, down from 98 percent who turned out in 1976 when 97.7 percent of voters ratified the Constitution. The new Constitution legalises private property and promotes foreign investment. The change brings the charter in line with economic reforms the Cuban government has implemented to encourage entrepreneurship and investment over the past several years. Arturo Lopez-Levy, visiting professor at Gustavus Adolphus College in Minnesota who served as a political analyst for the Cuban government from 1992 to 1994, said such changes resolve a “legal limbo” around moves to liberalise the economy. This opens the door for further reform aimed at building a “comprehensive mixed economy”, he said. The updated charter also creates the position of prime minister to administer day-to-day state affairs and imposes age and term limits for the president. Lopez-Levy calls these “important instrumental changes within the one-party system”. For Pena Barrios, the new Constitution signals “political continuity marked by novel aspects such as notable economic pragmatism”. After casting his referendum ballot, President Miguel Diaz-Canel described the new Constitution as a bearer of “continuity and unity” in Cuba. What does vote mean for opposition? Critics argue the reforms are cosmetic. The power of the Communist Party within a one-party system remains untouched and citizens still do not have the ability to directly vote for a president, an issue thousands of voters raised in a three-month public consultation process. But Lopez-Levy argued that any demands for deep political restructuring were pipe dreams from the outset. He cautioned that “No” votes, abstentions, or null ballots should not be equated with support for the Cuban opposition. Barrios doubts the dissident vote will work in the opposition’s favour. “The opposition in Cuba doesn’t have sufficient political capital to identify with those who didn’t support the text,” he said. But many are optimistic the reforms and the process of drafting the new charter will help make room for continued debate among other sectors. “The result points the way towards new political dialogue, or at least the need for it,” Miguel Alejandro Hayes, editor of the blog La Trinchera and a contributor to other Cuban alternative media outlets, told Al Jazeera. He believes it is unlikely such dialogue would include the traditional opposition. Instead, the government could engage with more moderate critics, though political will could still be lacking. “There’s an opposition that doesn’t want dialogue, that approves of the blockade on Cuba, and that doesn’t care about the cost of toppling the government,” he said. “These actors – the majority live outside of Cuba – don’t have any credibility, and they are out of the scene,” he added. Barrios argued the official response to polarisation over marriage equality in the run-up to the referendum has demonstrated the government’s openness to dialogue. While an earlier draft of the Constitution legalised marriage equality, the final version left marriage to be defined in a separate referendum. “Now comes the big challenge,” Barrios added, “which is to fulfill the Constitution”. 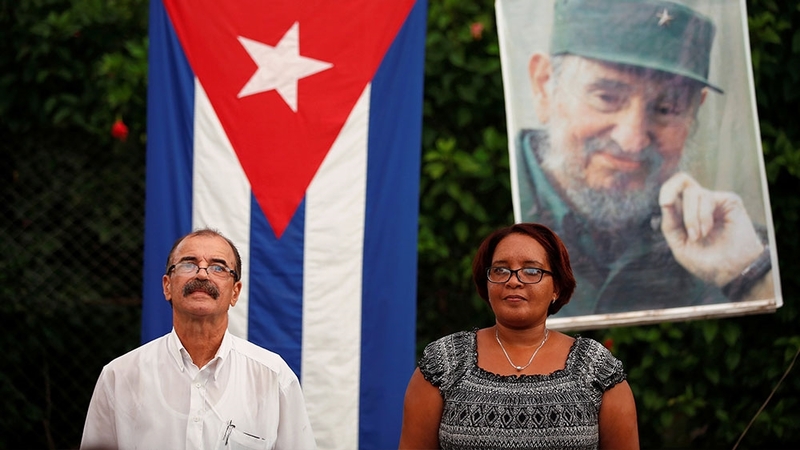 The Cuban government is expected to implement various measures to complement the charter. “Everything proposed in the Constitution that is not explicit, everything that goes against the orthodox mentality, deserves attention, because it is what runs the most risk of being forgotten or excluded,” he said. Beyond the island, the Constitution is unlikely to smooth over relations with the United States. Bilateral ties have deteriorated under President Donald Trump after the historic normalisation of frozen US-Cuba ties under Presidents Barack Obama and Raul Castro with the opening of embassies in Washington and Havana in 2015. Trump has suggested deepening the more than half century-old trade embargo on Cuba. Lopez-Levy argued the time for fruitful debate on Cuba was before the referendum, and the US missed the opportunity. “Trump doesn’t have a policy towards Cuba, he has a policy towards the next election in Florida,” he said. Florida is home to two thirds of the 1.2 million Cuban-American voters in the US. Although Cuban-Americans have increasingly turned towards the Democratic Party for more than a decade, according to the Pew Research Center, Cubans in Florida were twice as likely to vote for Trump compared with other Latinos. In a statement on Tuesday, Secretary of State Mike Pompeo dismissed the vote as a “so-called referendum” and claimed the charter blocks potential for economic reform by enshrining socialism.